The International Contest of Valencian Paella has been present in the 40th anniversary of Comú d’Escaldes (Andorra), Abundi Monterde Cremades and Jesus Melero attended this event. The Contest constantly wides borders with the aim of exporting the authentic Valencian paella recipe to all the public as well as clearing of the collective imaginary the consideration that any rice cooked in paella pan can receive this name. 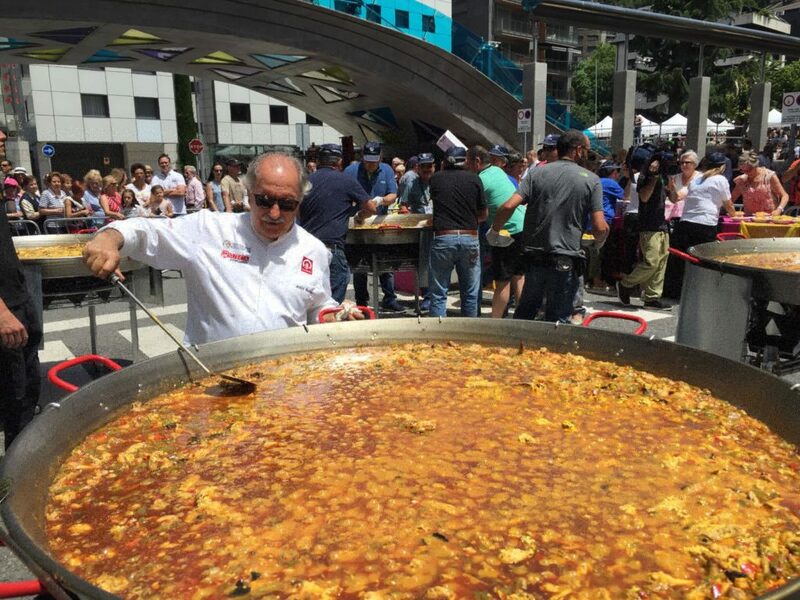 This anniversary served not only in order that the Andorrans could taste the authentic Valencian paella, but also to spread the International Paella’ Contest.